Health knowledge generated in the world’s laboratories is passed down the information chain through publications, through its impact and application, its subsequent “translation” into appropriate contexts for different user communities, arriving finally with health workers and the general public, as the diagram of the knowledge cycle from the Canadian Institutes of Health Research has shown.1 Studies have shown that access to published health research by the research communities in developing countries is no longer “fit for purpose”.2 As has been well documented, rising costs of subscriptions and permission barriers imposed by publishers have barred access to the extent that local health research and health care have been damaged through lack of information.3,4 For example, Yamey5 tells of a physician in southern Africa who could not afford full access to journals but based a decision to alter a perinatal HIV prevention programme on one single abstract. The full text article would have shown that the findings were not relevant to the country’s situation. It is difficult to see how the United Nations’ Millennium Development Goals can be achieved without free international access to the world’s publicly funded research findings or without collaborative initiatives. Goals 4 to 7 depend on the sharing of research findings for success, while Goal 8, which emphasizes the need for global partnerships for development, recognizes that sharing knowledge and capacity building establish the infrastructure for building future aid programmes. The United Nation’s HINARI, AGORA and OARE programmes, whereby registered libraries or qualified institutions in countries with a Gross Domestic Product (GDP) of < href="http://www.who.int/bulletin/volumes/87/8/09-064659/en/index.html#R12">12 However, such donor programmes have several limitations.13 They are not driven by science (journals are donated by publishers at their own discretion rather than selected by researchers); they are only available to the poorest countries (as countries’ economies improve, they no longer qualify); some low-income countries are excluded (e.g. India, even though its GDP level qualifies it for access) because publishers fear damage to their existing sales; access is only available from registered libraries and on provision of a password controlled by libraries; publications may be withdrawn and there are no contractual arrangements regarding content continuity. In a letter to PLoS Medicine, Villafuerte-Gálvez et al. said that, since 2003, Peruvian medical students and health professionals have substantially benefited from access to high-quality scientific information through HINARI but that recently students and faculty had not been able to gain access to several top journals that were available at the launch of the programme.14 Moreover, the number of users had dropped by 52% in 3 years. Such was the value of the donor material that copies were made available to colleagues unable to access them. The statement and recommendations of the Budapest Open Access Initiative on which all subsequent open access developments are based, is concerned with free public access to peer reviewed publicly-funded research publications.21 It recommended two routes to achieving open access: (i) deposit author’s copy of already published articles in the author’s institutional repository (or a subject-based central repository where an appropriate one exists); or (ii) publish in an open access journal. As open access has become established, major international institutes and funders have begun to require that copies of articles that result from their support are deposited in institutional repositories or published initially in open access journals. In the United Kingdom, more than 90% of publicly funded medical research is covered by open access mandates. In the United States of America, the research access policy of the National Institutes of Health promises to make available publicly about 80 000 articles per year. Globally, as at 5 June 2009, there were 84 open access mandates28 from such prestigious organizations as Harvard University, Massachusetts Institute of Technology, Southampton University, all the United Kingdom Research Councils, the Wellcome Trust and many other institutes, universities and departments, 17% of which are from developing countries. There are now 4184 open access journals published,29 15% in developing countries and 1351 institutional repositories30 – approximately 17% of these are located in developing countries. At the same time, there is much supporting infrastructure activity – developing institutional repository networks, developing software that allows harvesting between repositories and similar regional developments.31,32 These figures demonstrate the increasing global acceptance of open access policies as a way to enhance research around the world. Sudsawad P. Knowledge translation: introduction to models, strategies and measures. Ottawa, ON: Canadian Institutes of Health Research;2007. Available from: http://www.ncddr.org/kt/products/ktintro/allinone.html [accessed 29 June 2009]. Aronson B. Improving online access to medical information for low-income countries. N Engl J Med 2004; 350: 966-8 doi: 10.1056/NEJMp048009 pmid: 14999107. Zerhoni EA. Access to biomedical research information. Bethesda, MD: National Institutes of Health; 2004. Available from: http://www.taxpayeraccess.org/docs/NIH_access_report.pdf [accessed 29 June 2009]. INFOcus. Rising journal costs limit scholarly access. Atlanta, GA: Emory University Libraries; 2007 Available from: http://www.lyponline.com/infocus/0907/Special_Report.htm [accessed 29 June 2009]. Yamey G. Excluding the poor from accessing biomedical literature: a rights violation that impedes global health. Health and Human Rights 2008:10. Available from: http://www.hhrjournal.org/index.php/hhr/article/view/20/88 [accessed 29 June 2009]. Smith R. A great day for science. The Guardian, 11 October 2008. Available from: http://209.85.229.132/search?q=cache:http://www.guardian.co.uk/commentisfree/2008/oct/11/pressandpublishing-internet [accessed 29 June 2009]. Position statement in support of open and unrestricted access to published research. London: The Wellcome Trust; 2008. Available from: http://www.wellcome.ac.uk/About-us/Policy/Policy-and-position-statements/WTD002766.htm [accessed 29 June 2009]. SARS. how a global epidemic was stopped. Manila: World Health Organization Regional Office for the Western Pacific Region; 2006. American Society of Microbiology makes 14 research publications of Influenza AH1N1 freely available [media release], 4 May 2009. Available from: http://www.asm.org/Media/index.asp?bid=64503 [accessed 29 June 2009]. Thorbecke E. The evolution of the development doctrine and the role of foreign aid, 1950-2000. In: Tarp F, Hjertholm P, eds. Foreign aid and development. Routledge; 2000. Available from: http://are.berkeley.edu/courses/ARE251/2004/papers/Thorbecke.pdf [accessed 29 June 2009]. Riddell RC. Does foreign aid really work? New York, NY: Oxford University Press; 2007. Developing countries’ access to the world’s leading journals. [HINARI/OARE/AGORA programmes information leaflet]. Available from: http://www.oaresciences.org/publicity/Hinari-Oare-Agora_Leaflet.pdf [accessed 29 June 2009]. Library Connect [Internet site]. Available from: http://libraryconnect.elsevier.com/lcp/1001/lcp100109.html [accessed 29 June 2009]. Villafuerte-Gálvez J, Curioso WH, Gayoso O. Biomedical journals and global poverty: is HINARI a step backwards? PLoS Med 2007; 4: 220- doi: 10.1371/journal.pmed.0040220. Arunachalam S, Gunasekaran S. Diabetes research in India and China today: from literature-based mapping to health-care policy. Curr Sci 2002; 82: 933-47. Van Embden JD, Cave MD, Crawford JT, Dale JW, Eisenach KD, Gicquel B, et al., et al. Strain identification of Mycobacterium tuberculosis by DNA fingerprinting: recommendations for a standardized methodology. J Clin Microbiol 1993; 31: 406-9 pmid: 8381814. Hattersley AT. Multiple facets of diabetes in young people. Curr Sci 2002; 82: 273-8. Lown B, Banerjee A. The developing world in The New England Journal of Medicine. Global Health 2006; 2: 3- doi: 10.1186/1744-8603-2-3 pmid: 16542448. Horton R. Medical journals: evidence of bias against the diseases of poverty. Lancet 2003; 361: 712-3 doi: 10.1016/S0140-6736(03)12665-7 pmid: 12620731. Sumathipala A, Siribaddana S, Patel V. Under-representation of developing countries in the research literature: ethical issues arising from a survey of five leading medical journals. BMC Med Ethics 2004; 5: 5- doi: 10.1186/1472-6939-5-5. Budapest Open Access Initiative [Internet site]. Available from: www.soros.org/openaccess/ [accessed 29 June 2009]. Chan L, Arunachalam S, Kirsop B. Open access archiving: the fast track to building research capacity in developing countries. Sci.Dev Net, 11 February 2005. Available from: http://www.scidev.net/en/features/open-access-archiving-the-fast-track-to-building-r.html [accessed 29 June 2009]. Bioline International [Internet site]. Available from: http://www.bioline.org.br [accessed 29 June 2009]. SciELO [Internet site]. Available from: http:/www.scielo.br [accessed 29 June 2009]. MedKnow Publications [Internet site]. Available from: http://www.medknow.com [accessed 29 June 2009]. Institutional repository statistics. Dunedin: University of Otago. Available from: http://eprints.otago.ac.nz/es/ [accessed 29 June 2009]. Institutional repository usage statistics. Merida: Universidad de Los Andes. Available from: http://www.saber.ula.ve/stats?level=general&type=access&page=downviews-series&start=01-06-2009&end=30-06-2009&pyear=2009&pmonth=06&anoinicio=2009&anofim=2009&mesinicio=01&mesfim=06 [accessed 29 June 2009]. Registry of Open Access Repository Material Archiving Policies (ROARmap) policy register [Internet site]. Available from: http://www.eprints.org/openaccess/policysignup/ [accessed 29 June 2009]. 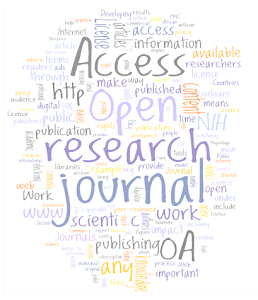 Directory of Open Access Journals [Internet site]. Available from: http://www.doaj.org [accessed 29 June 2009]. Registry of Open Access Repositories [Internet site]. Available from: http://roar.eprints.org [accessed 29 June 2009]. Digital Repository Infrastructure Vision for European Research [Internet site]. Available from: http://www.driver-repository.eu/ [accessed 29 June 2009]. Online Research Collections Australia (ORCA) Project [Internet site]. Available from: http://www.library.uq.edu.au/escholarship/orca.html [accessed 29 June 2009]. Science Commons and the Scholarly Publishing and Academic Resources Coalition (SPARC) statement on copyright. Available from: http://www.arl.org/sparc/media/07-0517SC.shtml [accessed 29 June 2009]. The International Development Research Centre (IDRC) [Internet site]. Available from: http://www.idrc.ca/uploads/user-S/1226605005112265959291Chapter_10_%5B1%5D.pdf [accessed 29 June 2009]. Inventing a better future: a strategy for building worldwide capacities in science and technology. Amsterdam: InterAcademy Council;2004. Resolution WHA61. 21. Global strategy and plan of action on public health, innovation and intellectual property. In: 61st World Health Assembly, Geneva, 19-24 May 2008. Geneva: World Health Organization; 2008. Available from: http://www.who.int/gb/ebwha/pdf_files/A61/A61_R21-en.pdf [accessed 29 June 2009]. TropIKA [Internet site]. Available from: http://www.tropika.net/ [accessed 29 June 2009]. Suber P. India’s CSIR asks its labs to adopt OA mandates. Open Access News, 9 February 2009. Available from:http://www.earlham.edu/~peters/fos/2009/02/india-csir-asks-its-labs-to-adopt-oa.html [accessed 29 June 2009]. Open access self-archiving policy. Pretoria: University of Pretoria. Available from: http://www.eprints.org/openaccess/policysignup/fullinfo.php?inst=University%20of%20Pretoria [accessed 29 June 2009]. Harris E. Building scientific capacity in developing countries. EMBO Rep 2004; 5: 7-11 doi: 10.1038/sj.embor.7400058 pmid: 14710175. 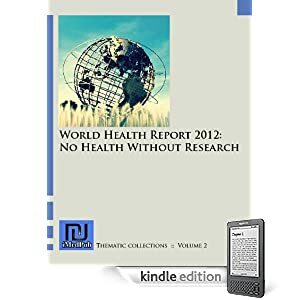 10/90 report on health research. Geneva: Global Forum for Health Research; 1999.